For those who don’t know me (which would be most of you since I only started this blog like, a week or two ago), I’ve been hoping to encounter snowy weather for AGES. The last time I touched snow was about four or five years ago in Jangyu after I arrived just a little bit too late during an unusually cold day in that part of Korea. There were only small piles of it left on a mountain. Ever since then, I’ve been hoping to see snow again. Each year I always get so close. SO DAMN CLOSE. I mean goddammit there was even once where it snowed JUST AFTER I LEFT. With these being my final three months in Busan, I’ve got a plan. 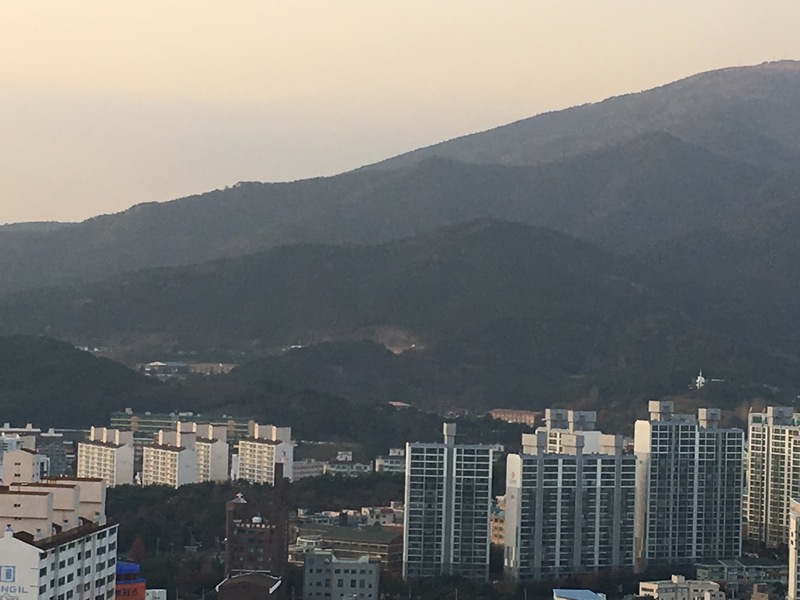 Right after the coldest night, I will scale Jangsan Mountain. There’s got to be snow up there. Every week once or twice I’ll practise going up Jangsan. Once the time comes, I intend to reach the summit hopefully in less than three hours. What? A guy can hope, can’t he? ?